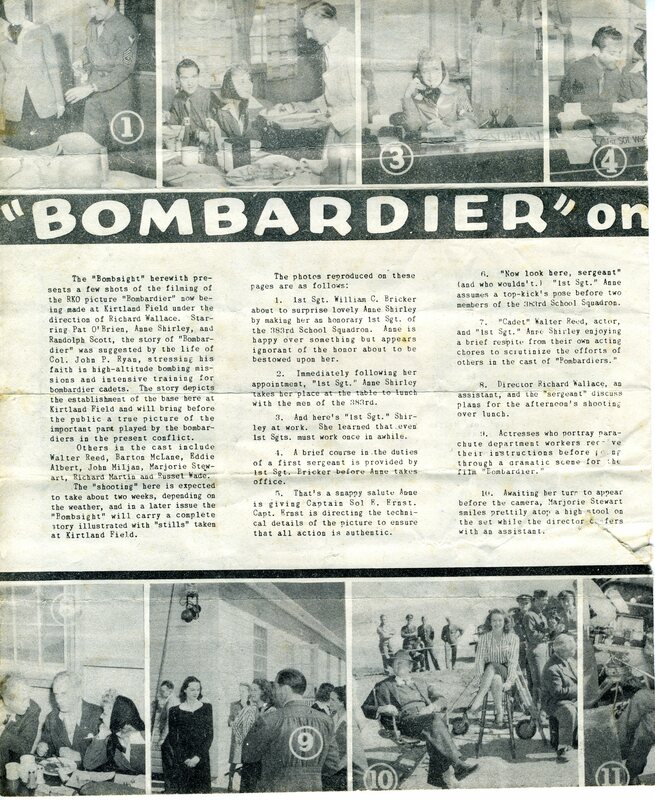 Bombardier was a movie about the training program for US Air Force bombardiers released in 1943. It was filmed mainly at Kirtland Army Air Field (formerly Albuquerque Army Air Base) in New Mexico, site of the first bombardier training school. 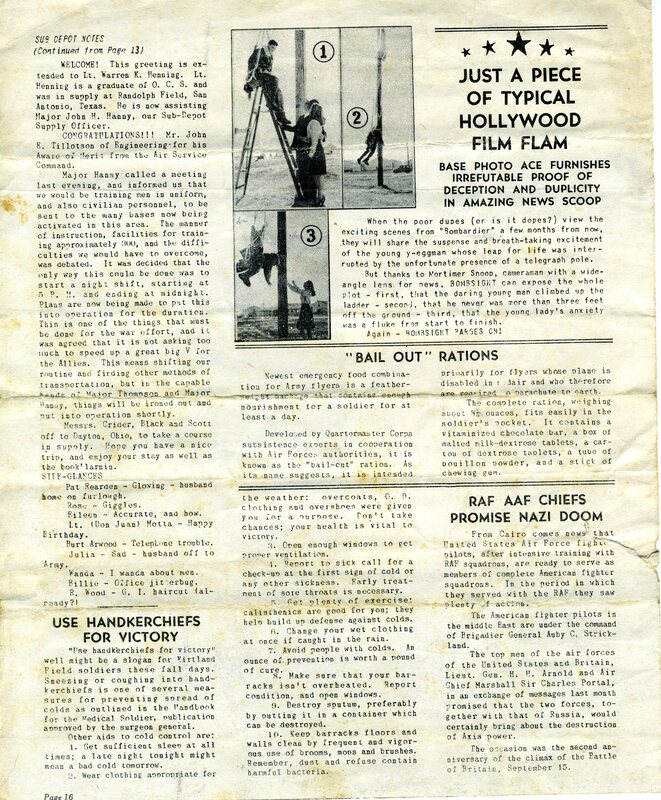 RKO Pictures began the film project in 1940 with full cooperation of the US Army Air Corps. 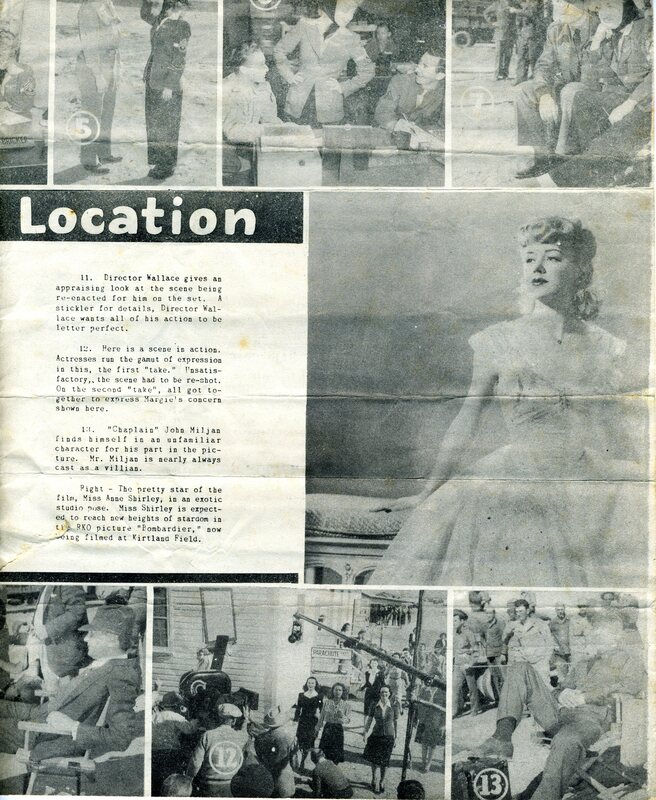 It was in production from October 12 to December 18, 1942, with six weeks of filming at Kirtland. Aviation cadets in training at the base were extras in the film and veteran aircrews assigned to the school as instructors flew the B-17s in formation shots seen at the end of the film. 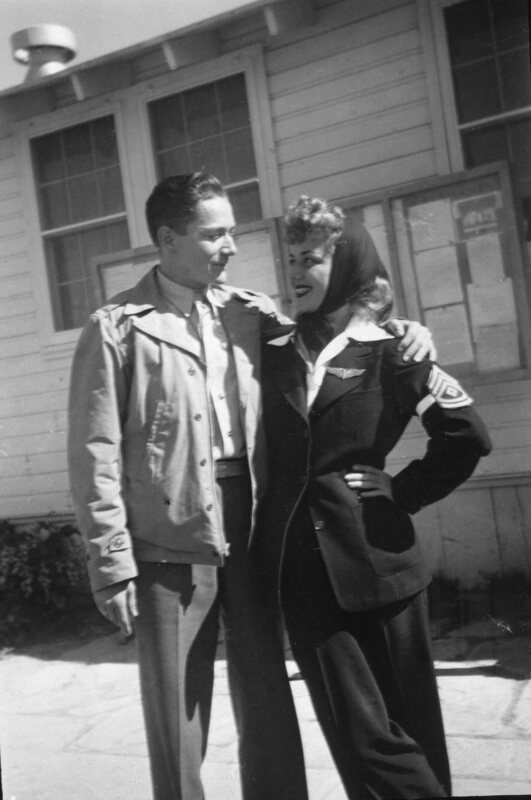 Anne Shirley plays the character Burton “Burt” Hughes, a secretary who is the daughter of an Air Corps general and the field’s former owner. Bombardier premiered on May 14, 1943, at Kirtland AAB. In 1993, 50 years after its first release, a color version was released. “Now look here, sergeant” (and who wouldn’t.) 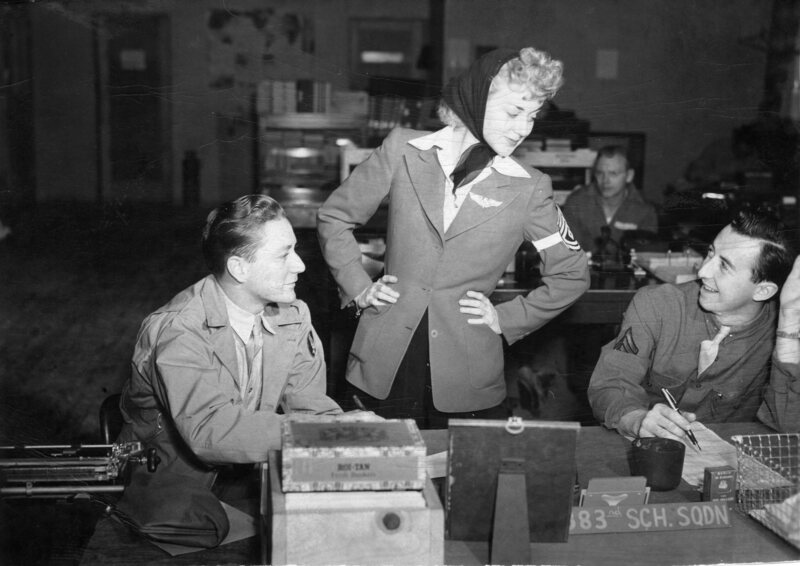 “1st Sgt.” Anne assumes a top-kick’s pose before two members of the 383rd School Squadron. 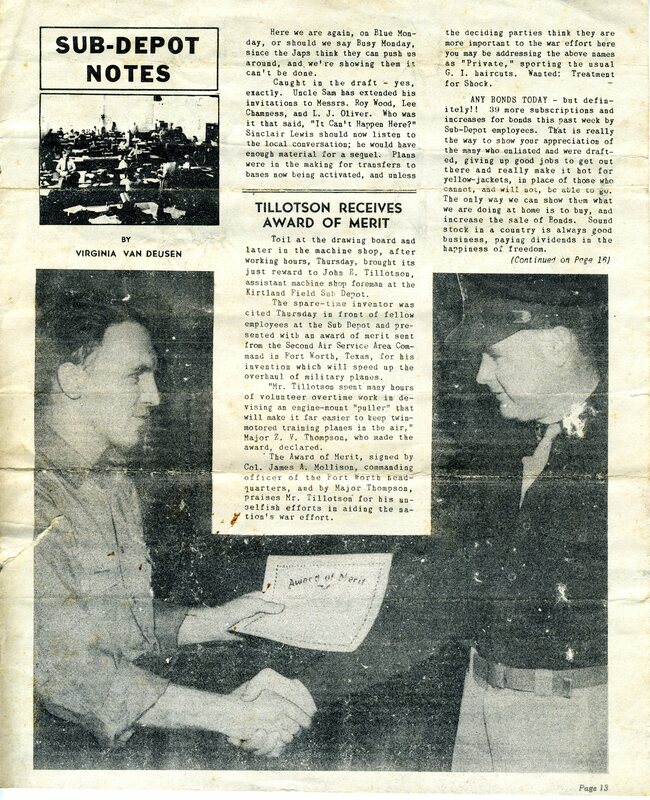 My dad, George Edwin Farrar, is the one seated on the left side of photo 6 on page 3. By thearrowheadclub in Farrar, George Edwin on July 27, 2016 .